PetSmart’s activist shareholders are barking up the right tree. Jana Partners and Longview Asset Management, which together own about a one-fifth stake, have commanded the U.S. purveyor of dog food and toys to roll over and sell itself. While there are other options to enhance shareholder returns, a deal with Petco, the smaller rival controlled by TPG and Leonard Green, could be the pick of the litter. Like so many other specialty retailers, PetSmart is being chased by Wal-Mart and Amazon. 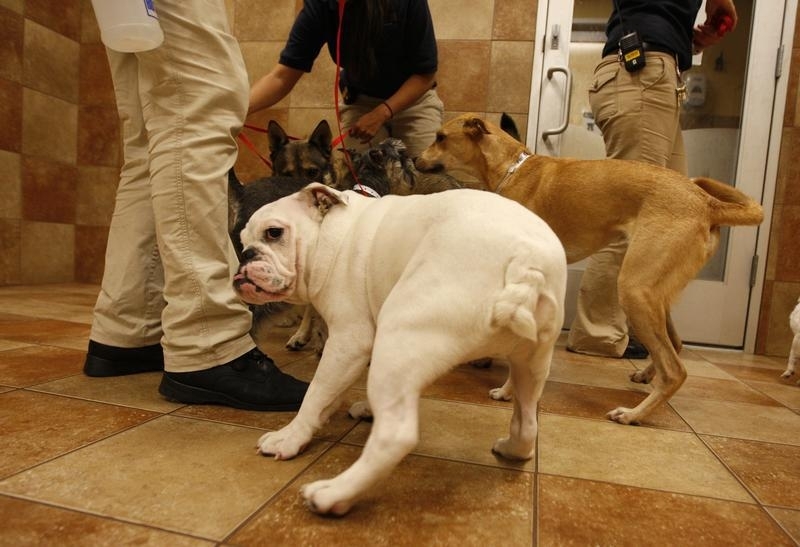 Sales growth at PetSmart stores open for more than a year has declined by half in 18 months. As a result, its shares have tumbled, too. A 20 percent fall since last October opened the gate for Barry Rosenstein’s Jana. In response, PetSmart said on Monday it had been reviewing its capital structure. The language used gives off a whiff of borrowing money to pay for a bigger buyback. It’s good as far it goes, but such repurchases often have a way of coming back to bite. On the other hand, retail combinations can produce savings of up to 10 percent of a target’s sales. Assume 4 percent conservatively in this case, and Breakingviews calculations suggest available synergies worth about $1.8 billion today. That would leave room for a 25 percent premium to $6.8 billion PetSmart, whose shares have already bounced by about 15 percent in the days since the activists started growling. PetSmart’s nearly debt-free balance sheet also can withstand some borrowing. The company is expected by analysts to generate $930 million of EBITDA this year. Ignore whatever leverage privately owned Petco carries. Even after adjusting for PetSmart’s rent expenses, it probably could issue at least $4 billion in bonds. What’s more, Longview suggested it might be willing to act as an equity partner in a buyout of sorts. Though similar top-dog combinations such as Office Depot and OfficeMax elicit attention from trustbusters, the broad and fierce competition generally keeps them at bay. It may take a little coaxing, but Petco should eventually sit up and shake. Longview Asset Management on July 7 joined activist hedge fund Jana Partners in calling for the pet supply store chain to consider putting itself up for sale. Longview owns about 9 percent of the company. On July 3, Jana disclosed a nearly 10 percent stake in PetSmart and said it wanted to meet with management to discuss ways to boost shareholder returns. PetSmart’s shares have increased by about 16 percent since Jana reported its stake. They had slipped about 20 percent from a 2013 peak of about $77 a share amid disappointing sales.